People walk along the beach Friday, Aug. 29, 2014, in Santa Monica, Calif. 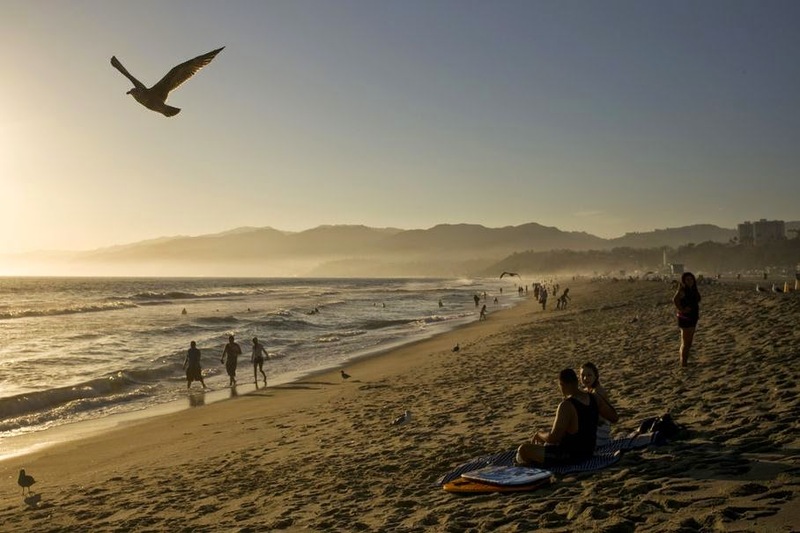 The highest number of Californians since the recession were expected to travel over the Labor Day holiday weekend. 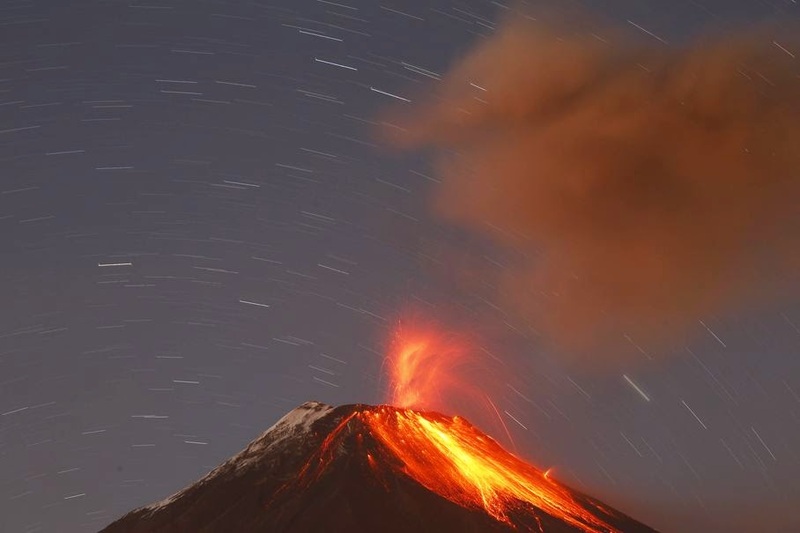 The Tungurahua volcano throws ash and stones during an eruption seen from Banos, Ecuador, Sunday, Aug. 31, 2014. The volcano entered an eruptive phase in 1999 and continues to this day. A teenage girl from the Santa Marta "favela" slum puts on a pair of high heels for a group debutante ball organized by the Pacifying Police Unit from her neighborhood in Rio de Janeiro, Brazil, Friday, Aug. 29, 2014. 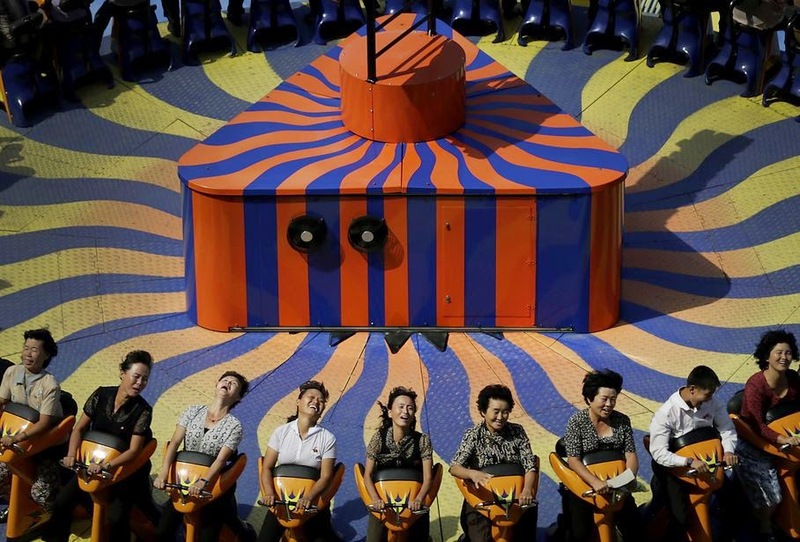 North Koreans enjoy a ride at the Kaeson Youth Amusement Park, Wednesday, Sept. 3, 2014 in Pyongyang, North Korea. In this Aug. 26, 2014 photo, Central American migrants sleep atop a moving freight train as it heads north from Arriaga toward Chahuites, Mexico. St. 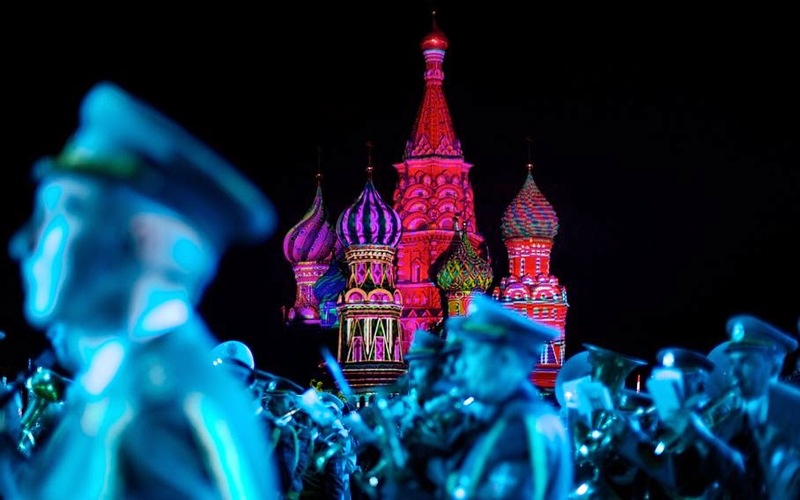 Basil Cathedral is lit using show lights as Serbian Nish military band members perform during the rehearsal of "Spasskaya Tower" International Military Orchestra Music Festival at the Red Square in Moscow, Russia, Friday, Aug. 29, 2014. 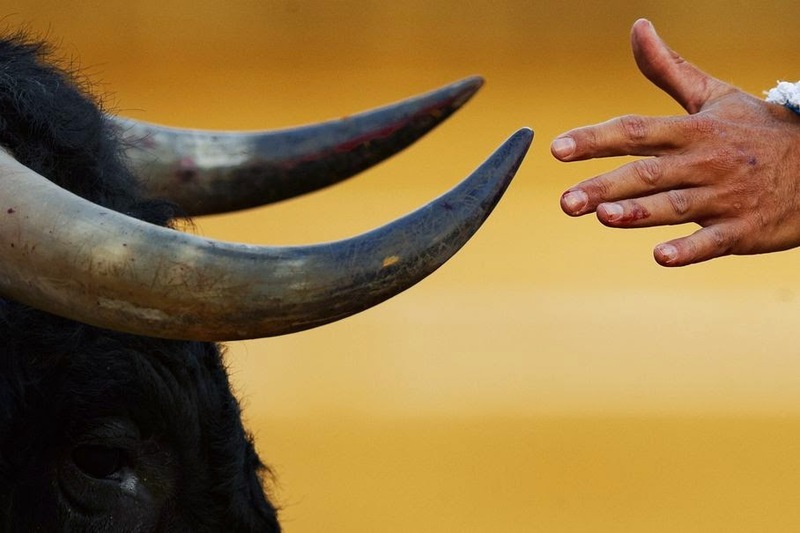 Spanish bullfighter Manuel Escribano stretches his hand towards a bull's horn during a bullfight in Toro, Spain, Thursday, Aug. 28, 2014. 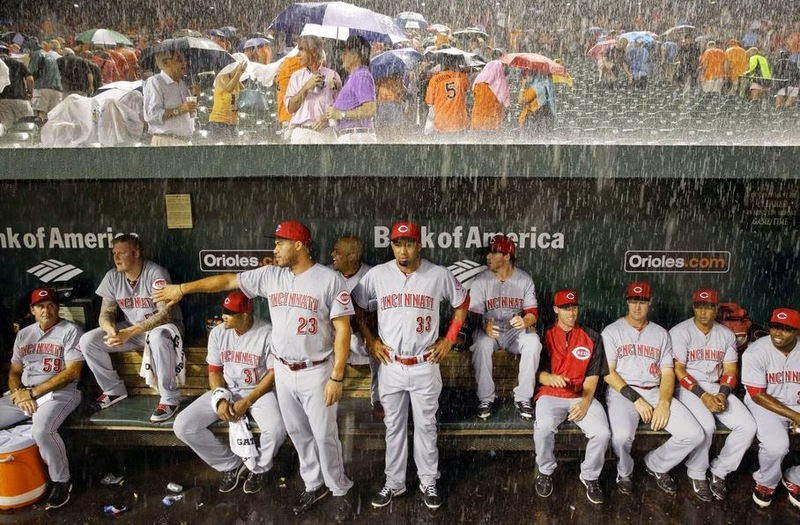 Members of the Cincinnati Reds watch from the dugout as heavy rain falls during a rain delay in the first inning of an interleague baseball game against the Baltimore Orioles, Tuesday, Sept. 2, 2014, in Baltimore. 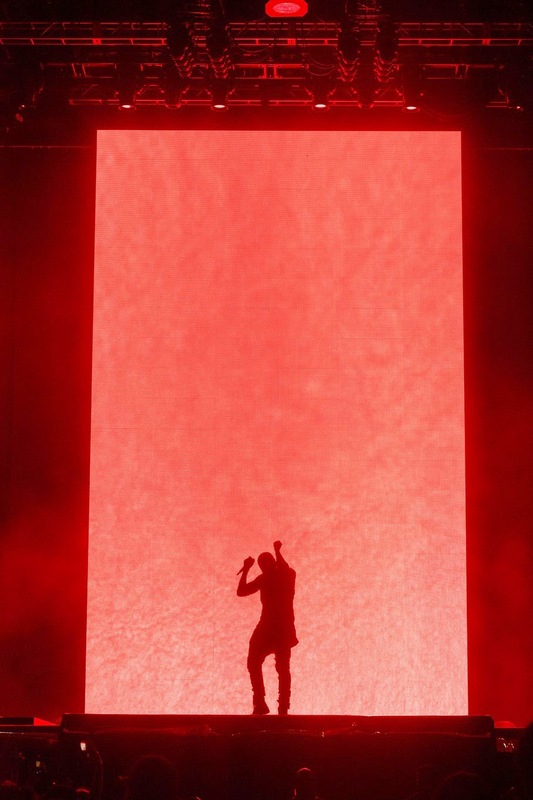 Kanye West performs on day one of the Budweiser Made in America Festival on Saturday, Aug. 30, 2014 in Philadelphia.